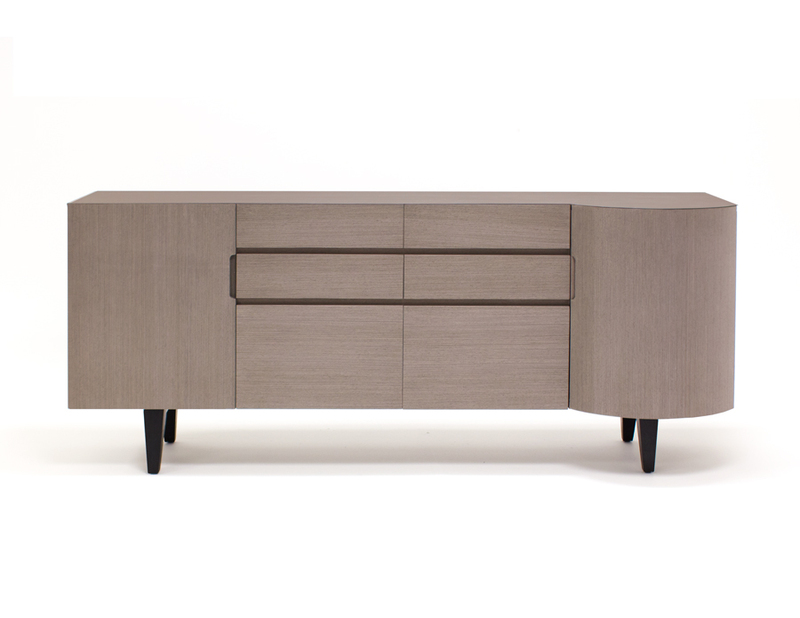 The desk with its drawers and file drawer is a one of a kind piece. 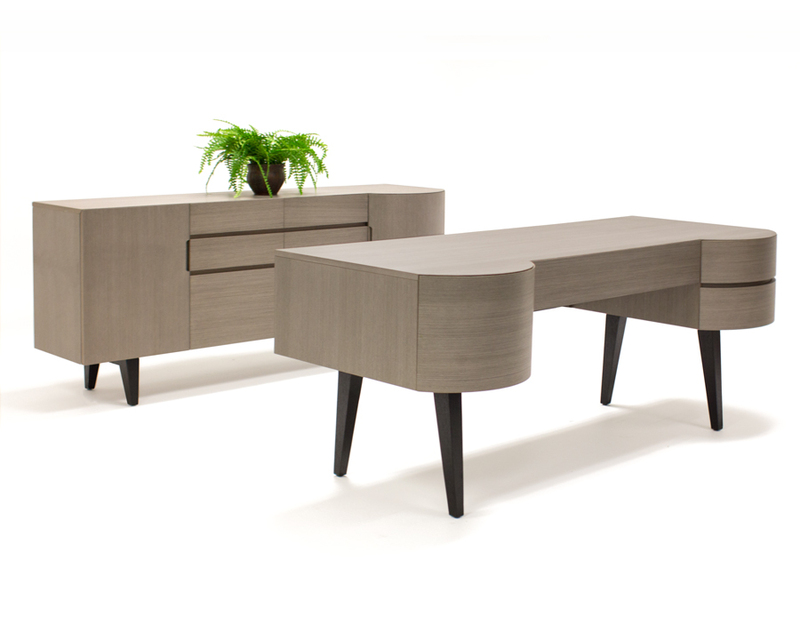 The desk comes in two finishes: light gray and white lacquer. 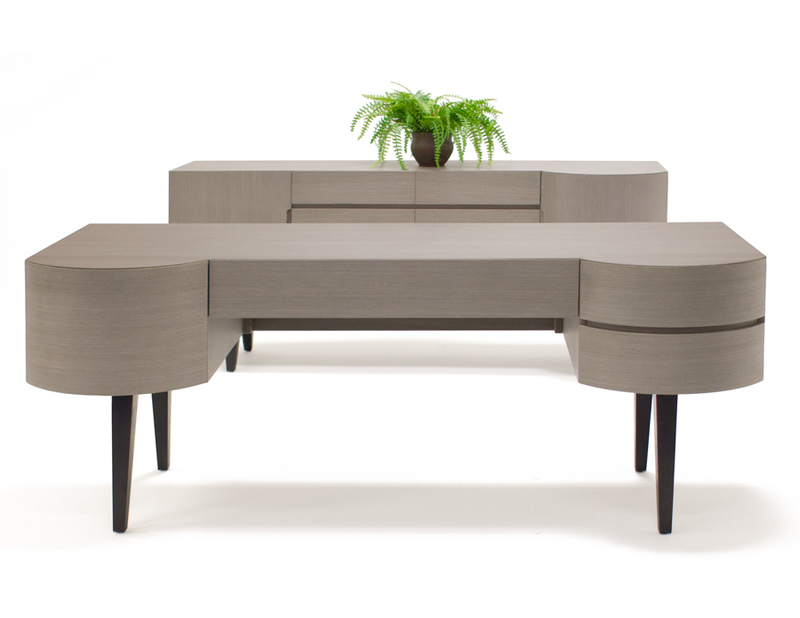 The light gray veneer desk rests on wenge angled legs. The white lacquer desk rests on stainless steel angled legs. A privacy panel helps complete this desk. 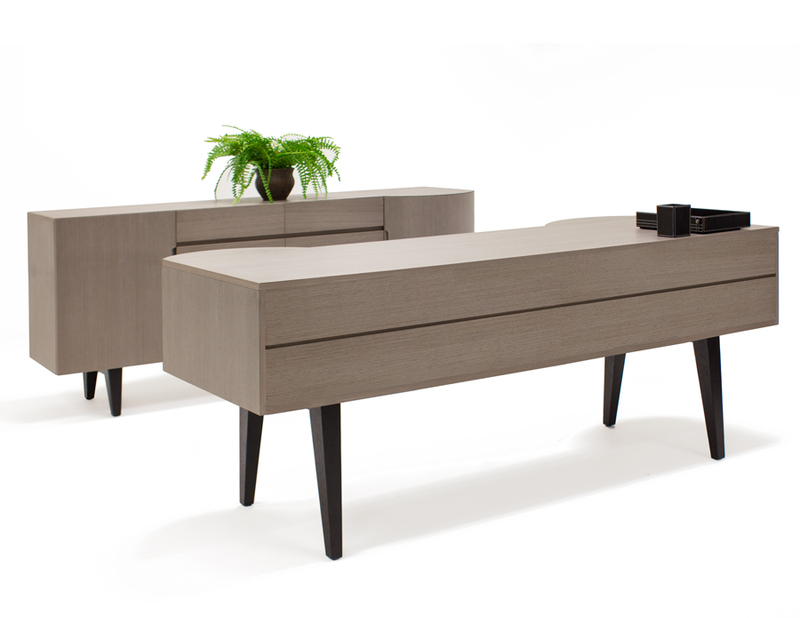 Great against a wall or as a stand alone piece, this desk is perfect for any modern office.